I have written several articles on Checking JAMB result, BUT have not written any about How to check JAMB result with Only Registration Number. Here is a simple step by step guidelines and procedures on how to achieve this. Take note that this procedure which I shared below, will guide you on how you can successfully check JAMB result with only your JAMB registration number. If you register for the 2019 JAMB examination, then you have Four options of checking your jamb results. 2. You will receive Email and SMS of your result. 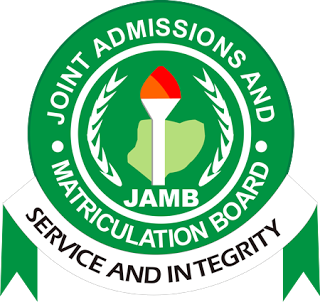 According to information reaching our news portal, the Joint Admission and Matriculation Board (JAMB) Unified Tertiary Matriculation Examination (UTME) has activated the portal for candidates, who participated in the 2019 JAMB Result, to check their UTME Results, using only their JAMB Registration Number. This is to inform all candidates who wrote the Unified Tertiary Matriculation Examination ( UTME), that they can now check their JAMB result with only their JAMB Registration Number on the jamb official portal. All participants and candidates can now check their JAMB results on the JAMB portal without the need of login to their JAMB Profile or buy any scratch card and pin. It’s absolutely free and there is no limitation to checking your results. 1. Visit any of this portal, ONLY on this page, do you have the option of using two JAMB official links to check your result. CLICK HERE or CLICK HERE to check your result. 3. Click on Check My Results. 4. Your JAMB results will pop up. Please don’t hesitate to share this information with your friends on facebook, twitter, and google+, using the share buttons below.